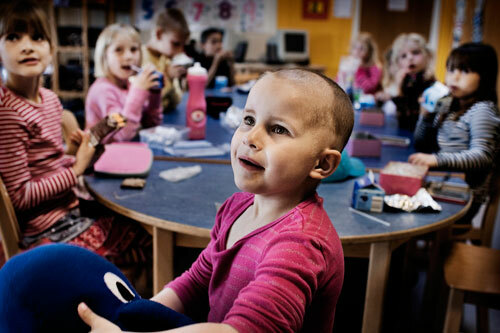 Vibe is in her classroom in Lerbjergskolen, Hundested, Denmark. In the background are some of her class mates, including her sister Laerke on the far right. Vibe continued to go to school in the autumn of 2008.